Apparently, the singer’s been in “top secret rehearsals” all week long. No one is better at keeping secrets than Beyoncé. After all, she wrote the modern-day blueprint for surprise releases with her studio album, Beyoncé, which dropped without warning in December 2013. But now, it looks like some major news has slipped out of the singer's camp. According to Billboard, the pop star will do a surprise performance at this year's MTV Video Music Awards, which airs tomorrow night, after a week of "top-secret rehearsals." 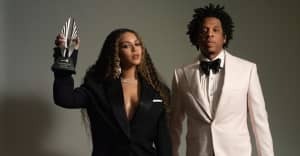 If the rumors prove true, Beyoncé will join a truly star-studded lineup, which has Rihanna opening the show before accepting this year's Video Vanguard award and Kanye West, who has reportedly been given a four-minute slot to do whatever he pleases. Whether Beyoncé performs or not, it's very likely she will end up on the stage at some point tomorrow night: Her visual album, Lemonade, has been nominated for 11 VMAs, including Video of the Year for "Formation" and the brand new Breakthrough Long Form Video award.